The second book of the #ScallywagAThon is completed! For this challenge, I had to read a book that had red on the cover – so Maggie Stiefvater’s The Raven Boys fit the bill. OK, let me just preface this review with the fact that I gave this book five stars and will struggle to put into words just how much I loved this. You have been warned. I honestly think she is one of the most brilliant female protagonists I’ve read in a very long time. She’s a self-confessed weirdo that has brilliant amounts of self-confidence and sass. She’s been brought up in a very a-typical environment and it has pushed her to be both independent and hilarious. Also, her relationship with the raven boys is my favourite thing – I really wish I was friends with her. Maggie has written these boys perfectly. 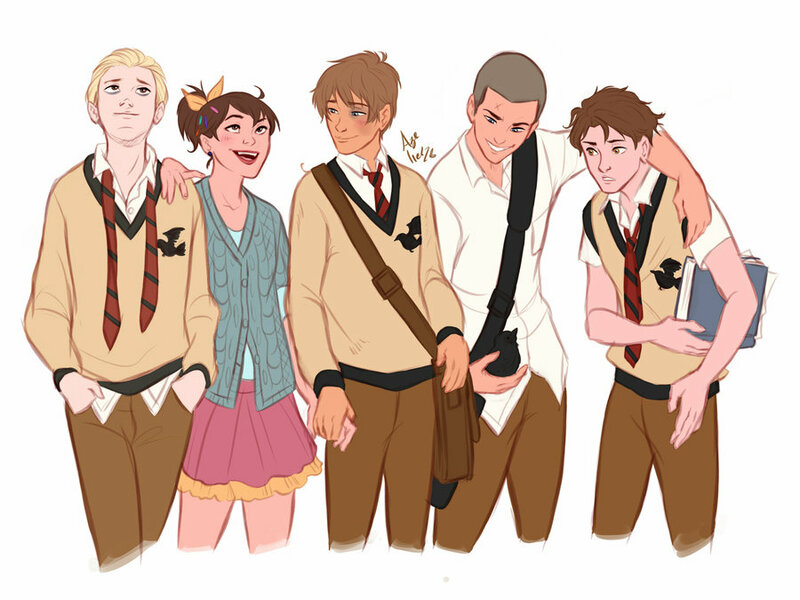 Gansey, Adam, Ronan, and Noah are all so much more than they seem. They could have easily been one-dimensional posh rich kids but there is absolutely zero sweeping stereotypes. They feel like real people who would exist in the world today. They are fleshed out, they are both right and wrong, they are equal parts hilarity and seriousness, they are protective and full of love and yet angry and emotional. And, nobody in the group is perfect, which I think is a very brave thing to do as an author. I have never seen a friendship group written so well. I tip my hat to you, Maggie. OK. This part is just so fun. Blue’s fantastic family of psychics is such a great element of this bizarre story that it is actually completely believable in its ridiculousness. They all add such a richness to the story that only makes you love it more. And even though some of the characters play relatively small parts they are written so well – you feel that you know everything about them. If you couldn’t already tell from all of the gushing… I think Maggie’s writing in this book was phenomenal. I was completely whisked away on an adventure through modern-day Virginia with this team of friends that I desperately wanted to be a part of. I actually read this book in one day! I just couldn’t put it down for fear that i’d miss something incredible. There are also so many brilliant moments of hilarity with a perfectly timed joke, but also deeply sad moments that made me feel very close to tears. PUBLIC SERVICE ANNOUNCEMENT: If this has been on your TBR for a while, just make it your next read, please! Over and out.